Sonicare vs Oral-B: which is best? Sonicare vs Oral-B: which brushes in each range are equivalent? 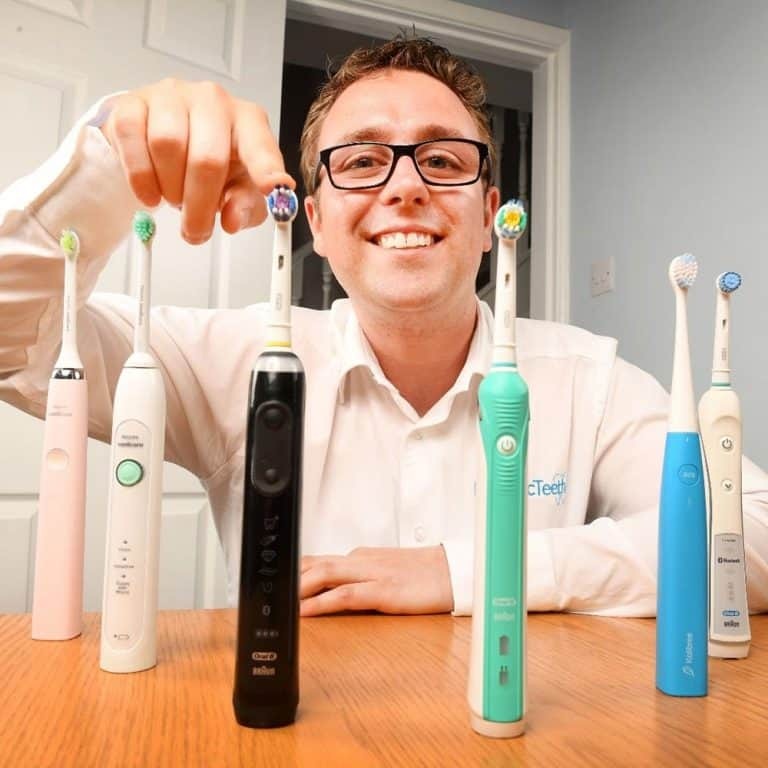 If you are considering an electric toothbrush, within minutes of your search you will become aware that there are two leading brands in the UK, they are Philips Sonicare and Braun Oral-B. The question is then, which makes the best electric toothbrush, Sonicare or Oral-B? There is no simple answer to this question. Both have their pros and cons and will appeal to some more than others. When it comes to making the final decision, you may also like to see our post on the best electric toothbrushes. Based on these questions above Oral-B takes the crown, scoring 7 compared to Sonicare’s 5. My personal preference would be Sonicare, but for a large majority the higher prices and lesser box contents of Sonicare products sways the vote in favour of Oral-B. Read on to really understand the differences. I am commonly asked what the equivalent brushes are within the Sonicare and Oral-B ranges. There is never an exact like for like, there are always differences between the ‘equivalent’ models. You will notice some brushes occur twice from the same manufacturer. This is intentional and happens because of the cross over of features between the two manufacturers. Within the table we have linked to our review of each brush — to read the review simply click the brush name. Typically we do not create detailed comparisons for cross-manufacturer brushes, however we have compared the two flagship models in our Genius 9000 vs DiamondClean Smart post. We also have a comparison tool that enables you to compare the features of two brushes side by side. Why do some people drive a Ford and others a Vauxhall? Why do some people go for designer label clothes over unbranded product? The strokes of the brush vary in speed with most Sonicare models achieving around 31,000 movements per minute, but the more premium and powerful models like the DiamondClean range offer up to 62,000. The number of movements is depicted by the cleaning mode. That study was published by Procter & Gamble, parent company of Oral-B, whilst a more independent study completed by Chochrane suggests that there is some evidence oscillating technology used by Oral-B is more effective. However, the admission here is that the differences are small and clinically unclear with further studies required. Generally speaking Sonicare brushes have a more clinical look and feel to them. Many of them are a matte white with very mild/soft colour accents on the power buttons and odd rubber grip. Oral-B brushes often have a gloss white plastic body that is accented by a large rubber grip that runs down the front of the handle. Depending on the model depends on the colour of this grip. From Black, to Pink to Blue to Green, you generally do not have much choice when actually buying the brush model you want, but the accent makes the brush a little more appealing and different and generally less clinical to look at. The most premium range, Genius 9000 does offer a White, Black, Silver, Rose Gold and Orchid Purple colour options. Whilst the premium price tag perhaps gets what is arguably a better design Oral-B in my opinion let themselves down by not having a colour matched brush head. An all black brush with a white brush head?! Sonicare offer a colour matched head on a Black brush. That said, the colour matched heads are often a lot more difficult to source as replacements. 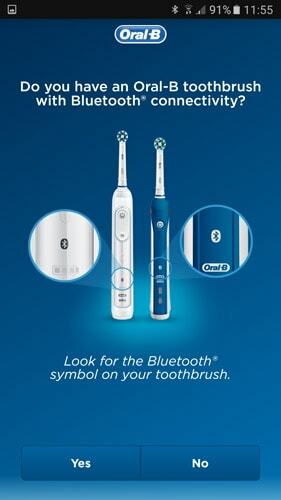 What you might class as a feature may differ, but Oral-B brushes offer more cleaning modes, a pressure sensor and Bluetooth connectivity on models that are cheaper than Sonicare, allowing those with restricted budget to get more for their money. A pressure sensor is something that you do not see all that often on Sonicare brushes. With Oral-B it is a light on the back of the brush handle that illuminates when the brush detects you are brushing too hard. It is a simple and easy way to become aware of the issue that is brushing too hard. A newer feature is Bluetooth connectivity which shares brushing data with your phone. As I write this in 2017, Sonicare have 2 models that can do this whereas Oral-B have have 10+. Sonicare’s easy start mode, brilliant. Not really worthwhile after those first 14 cleans…. Take mid range Pro 3000, you get a brush handle, a couple of brush heads, a charging stand, and a stand for the brush heads. With the more premium Genius 9000, you get the handle, multiple brush heads, a charging stand, a brush head storage compartment, a travel case and smartphone holder. For example some models have the option of a UV sanitiser. Not only does this provide a home for up to 2 brush heads, it cleans bacteria and germs off the brush head via a light bulb emitting UV rays. To me this has more perceived value and usefulness than a plastic modeld tray that accommodates 4 brush heads. Oral-B’s longest lasting brush lasts 18 days, but most are about 14-16 days. The reason behind this power difference primarily is the battery technology used. Sonicare have for a long time been using the more desirable lithium-ion batteries whereas Oral-B have only just begun using lithium and although improved from older standards have not quite perfected it yet like Philips. Oral-B do offer a better warranty, 2 years as standard with an optional 3rd year if you register online. This shows a confidence in the product that Sonicare do not. Sonicare offer a 2 year warranty, but only give 12 months warranty on the battery. On the whole my experience and feedback here at Electric Teeth would reaffirm my comments of Sonicare being the better quality. We receive less comments and emails about faults or problems than compared to Sonicare. This may well be because more Oral-B brushes are sold. Oral-B brushes start from about £15 whereas a Sonicare starts at around £30. Oral-B rushes tend to be about 20-25% cheaper for like equivalents, but this can stretch even further. Whilst both brands are subject to discounts and typically can be purchased for 40+% off their RRP with a little shopping around, it is Oral-B brushes that are more heavily discounted on the whole and more actively marketed as being on offer, particularly around Christmas. Many Oral-B models come packaged with a number of different brush heads, and acquiring new ones is often a few pounds cheaper per head for an Oral-B compared to Sonicare. As a rough guide, an Oral-B replacement head may averaged around £3.50-4 compared to the £5-7 of a Sonicare. Oral-B do also offer select models that come with dual handle packages. Meaning the same accessories but two brush handles included. A his and a hers maybe, or one for the parents and one for the kids. This is a nice touch. Although more expensive than the single handled pack, the dual handled models do have an overall cost saving. As good as this is, only one charging stand might be a bug bear for some. If compact and lightweight is is the biggest draw as a traveller then neither brand really have that box ticked. Ok they are not huge or mega heavy but Colgate’s C250+ is lighter and thinner as is a regular manual toothbrush but may lack features. Other models that do not come supplied with a case offer a charging stand that supports voltages from 110-240 volts whereas the Oral-B models typically only support 220-240 volts if purchased in the UK. This means it is more difficult to travel with an Oral-B brush as there is less global support for different voltages used around the world. As standard both brands come with a two year warranty, but UK residents can extend the warranty on most Oral-B brushes by an extra year if you register it online. Three years is an extra year compared to Sonicare and it is free! In most instances warranty issues are dealt with on a case by cas scenario and it would appear that Sonicare are more likely to replace than repair should something go wrong, but Oral-B do have quite a slick warranty repair process with quick turnaround times. For example if you are specifically looking for something with a sensitive cleaning mode and that comes in at less than £40 and has a pressure sensor; despite what might be a personal desire to go for Philips because you trust the brand and like the quality etc, your only option is likely to be an Oral-B model. A small but possibly useful option you have with Oral-B that is not on offer with Sonicare is a possible trial period. Known as the 30 Day Money Back Guarantee if you are not happy, you can return the brush. You can find more details on this here. From large high-street chemists and beauty stores like Boots and Superdrug, through to online companies like Amazon, Argos and Shavers.co.uk. It’s always worth checking out eBay too. Sorry for the delay in replying. There are a few differences. The pressure sensor is one, the 2000 has this, the 750 does not. The 2000 does not have the travel case that comes with the 750. The brush handle colour is different too. The 750 is Black and White whereas the 2000 is normally a Blue and White. A very small difference is that the 2000’s motor is slightly more powerful, but the 750’s motor is perfectly suitable and will e a step up from any manual toothbrush.